We are accepting nominations for the Friends of NCBDDD Executive Committee to serve from January 1, 2017 to December 31, 2018. Volunteers are need join the planning committee. The Communications Committee will be presenting on the Awareness campaign and tools on the September Quarterly call. 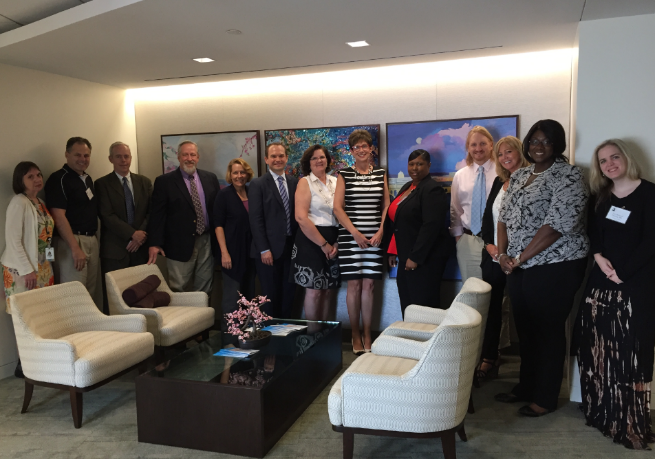 On August 12, the American College of Obstetricians and Gynecologists (ACOG), a funded partner of NCBDDD’s FAS Prevention Team, hosted its 2nd annual gathering of obstetrician-gynecologists who have been invited to serve as champions to help prevent alcohol use during pregnancy. 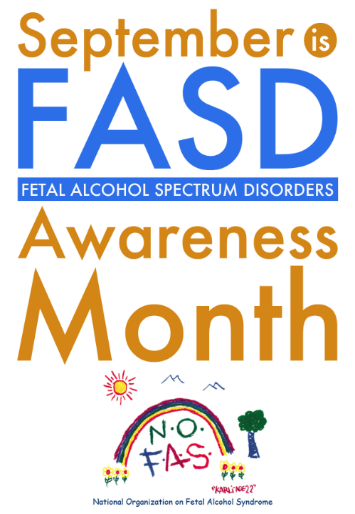 ACOG is partnering with the University of Missouri and the National Organization on Fetal Alcohol Syndrome (NOFAS) to work with obstetrician-gynecologists, one of six disciplines targeted through NCBDDD’s efforts, to improve the prevention of alcohol-exposed pregnancies and FASDs. The photo shows nine champions in attendance representing various ACOG districts as well as ACOG program staff and partners from the University of Missouri and NOFAS. The 27th International Conference on Spina Bifida and Hydrocephalus, Turning Points, takes place from Friday 28 October until Sunday 30 October 2016, in Ghent, Belgium. 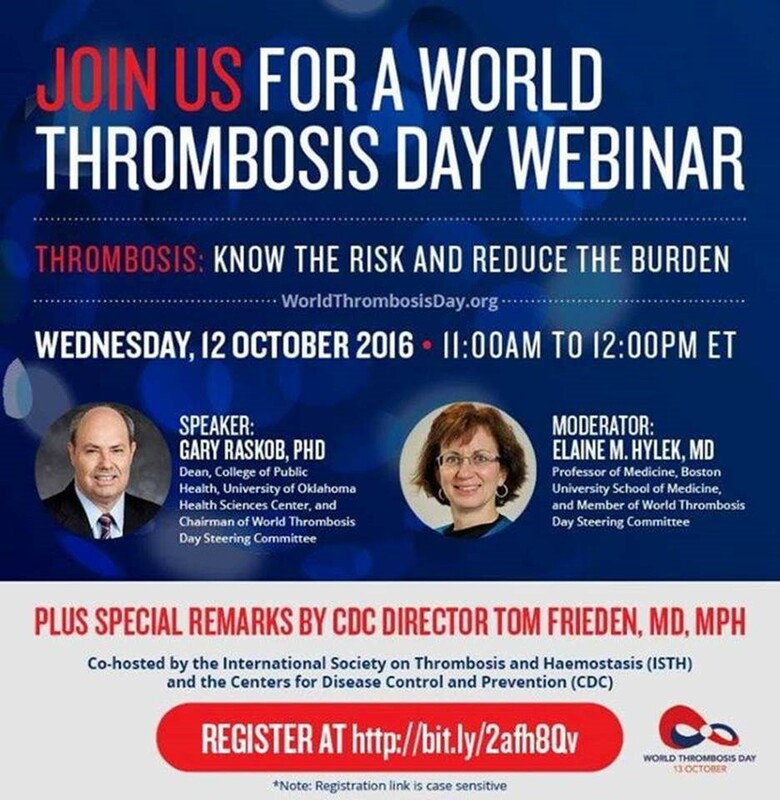 on September 22, 2016, from 10-11 am PST (1-2 pm EST). 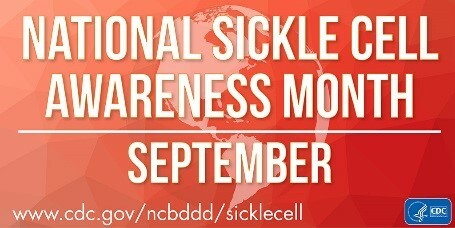 September is National Sickle Cell Awareness Month. Throughout the month, CDC will be sharing information about sickle cell disease and highlighting CDC’s activities and resources. On Tuesday, September 6, ASH, along with more than 20 other member groups, issued a report titled the State of Sickle Cell Disease: 2016 Report, and launched the Sickle Cell Disease Coalition—a partnership whose goals are to amplify the voice of the sickle cell disease (SCD) community, promote SCD awareness, and transform SCD care both in the United States and around the globe. The Coalition and the Report were launched during a press event at the Newseum in Washington, DC. Opening remarks were made by ASH President, Dr. Charles Abrams, and following, a panel of experts spoke on the challenges facing those with Sickle Cell Disease. The panel included ASH Vice-President Dr. Alexis Thompson, patient advocate Kyle Smith, Patricia Kavanagh from the Emergency Department Sickle Cell Care Collaborative and Dr. Jon Mark Hirshon from the American College of Emergency Physicians. Read more about the report, launch, and chief priorities of the coalition in ASH’s press release, and stay up to date with coalition activities and progress on the website. On August 18, the article, entitled Comparison of Two Disability Definitions – Behavioral Risk Factor Surveillance System (BRFSS), 2013, by Elizabeth Courtney-Long, Dianna Carroll, and Alissa Stevens, was published on Preventing Chronic Disease Journal. A publication on paralysis by authors Brian Armour, Elizabeth Courtney-Long (RDHO), Mike Fox (OD) and others entitled Prevalence and Causes of Paralysis- United States, 2013 was recently published in the American Journal of Public Health (AJPH). This publication was done in collaboration with the Christopher and Diana Reeve Foundation and the Administration for Community Living (ACL). Researchers from NCBDDD’s, Division of Human Development and Disability published a study in the Journal of Racial and Ethnic Health Disparities looking at the relationship between income and education with two health risks—smoking and obesity—among people with disabilities from different racial and ethnic groups. According to this study, the proportion of adults living with disabilities varies by race and ethnicity, with the highest among American Indian/Alaska native adults (3 in 10) and lowest among Asian adults (1 in 10). Similar to people without disabilities, people with disabilities who report lower levels of income or education are more likely to smoke or be obese; however, this differs by race and ethnicity. We invite you to read a summary of the key findings from this paper and to read the article’s scientific summary. Description: Participants may ask questions, retweet, and add messages on FASD prevention and treatment. Missed the chat? : Follow @NOFAS_USA and use #FASDchat to view the conversation. News items may be submitted for consideration via email to acostalas@aucd.org. Send in updates on conferences, meetings, special awards and journal or research announcements for the next edition of the Friends of NCBDDD E-Newsletter! Submit program highlights with a short summary of 150-200 words to Anna Costalas by 9/9/2016. Photos and web links are encouraged! !